The stem is deeply textured, and the cap is often viscid. 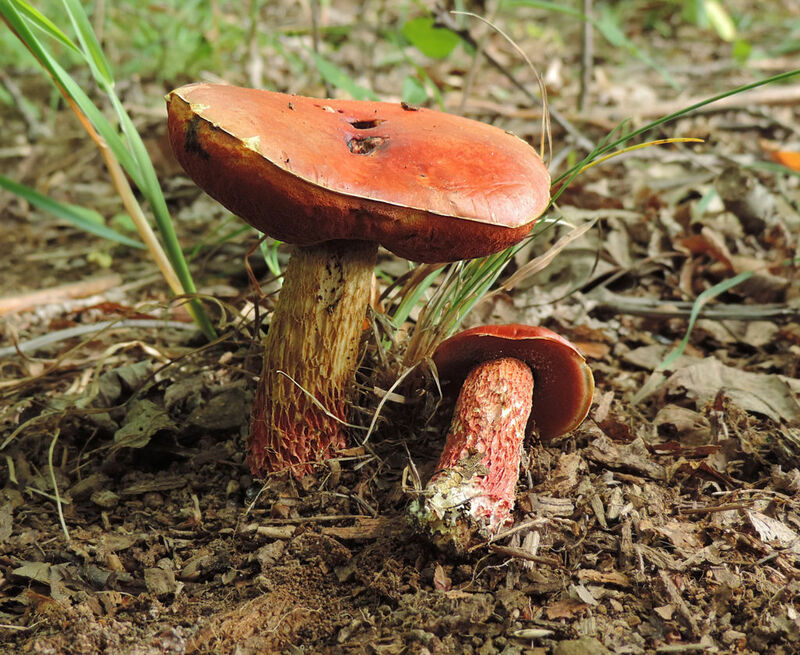 These are key features to avoiding confusion with Red Mouth Boletes (subvelutipes). The cap, pores and stem can be candy-apple red, but aren’t always. Stains blue quickly and profoundly in newer specimens. Likes oak. This is the mushroom that breaks the rules because it has red pores, stains blue, but is a good edible. Has a unique, almost sour taste.